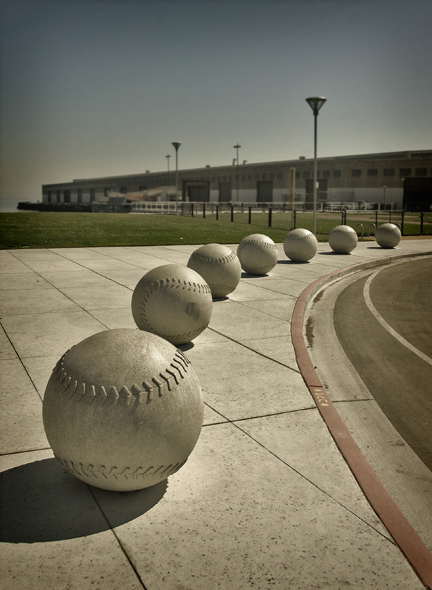 In 1931 San Franciso built a baseball stadium for its team, the San Francisco Seals. Two years later a local kid, Joe DiMaggio joined the team and in his rookie year hit safely in 61 straight games, a record that would surpass his later, more famous, major league record of 56 straight. During his years as New York Yankee DiMaggio was kept from feeling homesick by fellow San Francisco teammates; Lefty Gomez, Tony Lazzeri, and Frankie Crosetti.